The promotional work performed by the Riviera Nayarit Convention and Visitors Bureau (CVB), which has been focused on opening new markets in South America, is already showing results. The Riviera Nayarit and Puerto Vallarta worked together for a week of intense promotion in South America’s emerging markets during the IV Pacific Alliance Tour, arranged by the Mexico Tourism Board (MTB) office in Colombia. The activities took place from September 1-6 and included a packed schedule of seminars, presentations, workshops, and promotional visits; the team contacted over 300 travel agents in total. The countries of Mexico, Chile, Peru, and Colombia make up the Pacific Alliance, which is why it’s so important for the Riviera Nayarit and Puerto Vallarta to take part in these international activities that strengthen ties and collaboration with these nations. 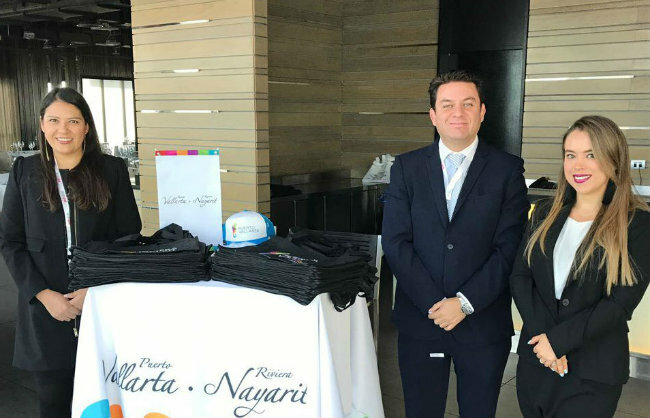 Lucero Guerrero, Sales and Promotions Manager for the Riviera Nayarit Convention and Visitors Bureau (CVB), was the lead representative for the destination; she was joined by Omar Macedo, of the MTB; and Rafael Moreno, representing the region of Colombia. The Tour began in Santiago de Chile. From September 1-3 they were present at the Travel and Vacations Fair (VyVa, by its acronym in Spanish), which targets tourism professionals and direct sales to the public. Chile’s top operators and travel agencies were there along with some three thousand attendees. 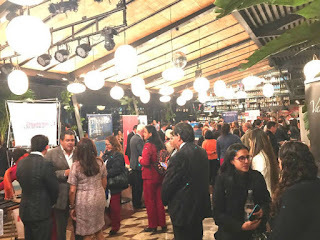 The activities continued on September 4th in Santiago with a tradeshow where the team contacted over 50 travel agents, updating them on the latest from the destination. 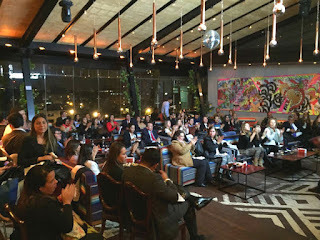 The second stop was in Lima, Peru, where the Tour arrived on September 5th so they could participate in a workshop where they contacted with over 90 travel agents. The Tour ended in Bogota, Colombia, with a tradeshow and presentation that had over 100 travel agents in attendance. 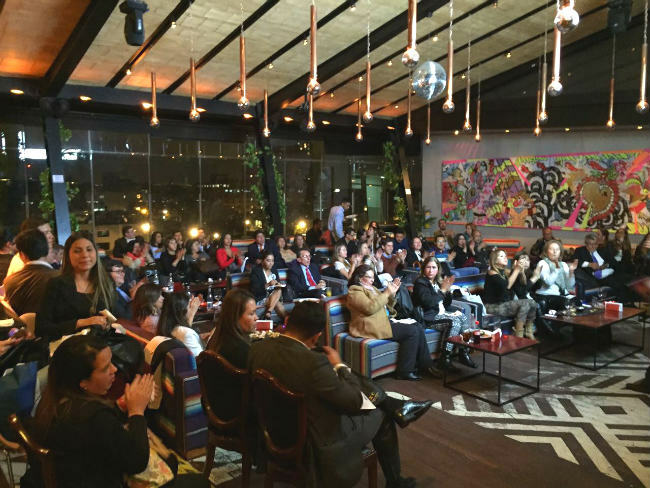 The last three events included the participation of local wholesalers and hotels from the destinations, as well as some airlines. Complementary activities included a work meeting with the new sales manager for Interjet in Colombia in order to establish a strategic alliance for joint promotions. This alliance is important in light of the fact that approximately 400 thousand passengers arrived in Mexico from Colombia in 2016 alone, which represented an increase of 7.5% over the previous year. This South American country is the fourth country of origin for foreign air travel to Mexico, after the United States, Canada, and the United Kingdom. “The Riviera Nayarit Convention and Visitors Bureau would like to affirm its commitment to work hard towards attracting more and better quality tourism to Mexico’s Pacific Treasure,” said Marc Murphy, Managing Director of this tourism promotions office. There are currently about 90 weekly flights between Mexico and Colombia via Aeroméxico, Avianca, Interjet and Wingo.